Walls of the fort with a view of the town below, Chittorgarh. 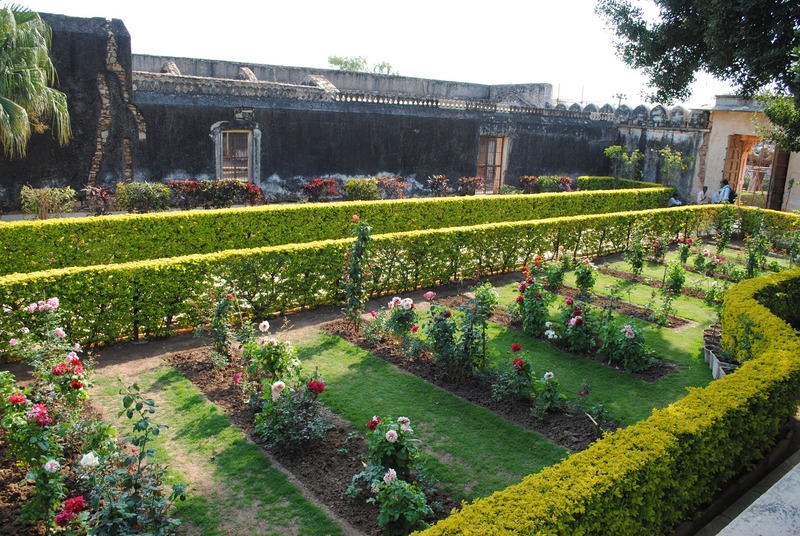 Well maintained flower gardens inside Padmini palace. When we visited Udaipur a month ago, we decided to go to Chittorgarh, a 2 hour drive to the east. 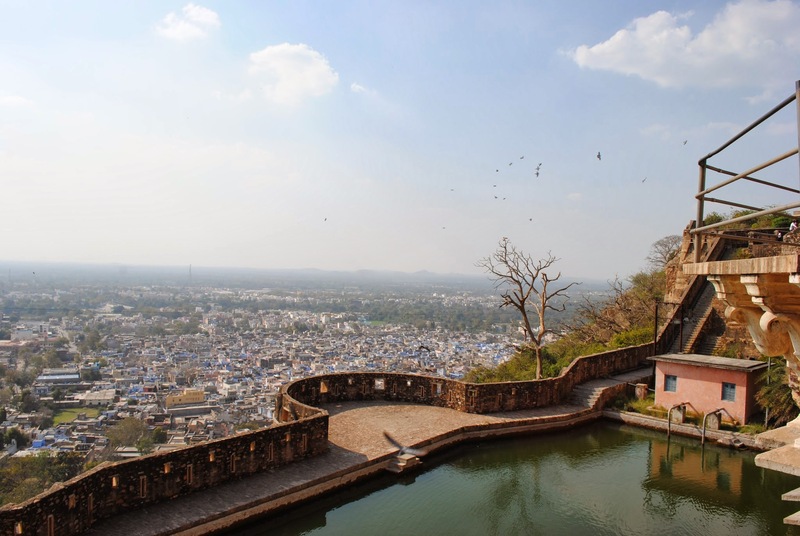 We had heard a lot about this town, which hosts the largest fort in India. 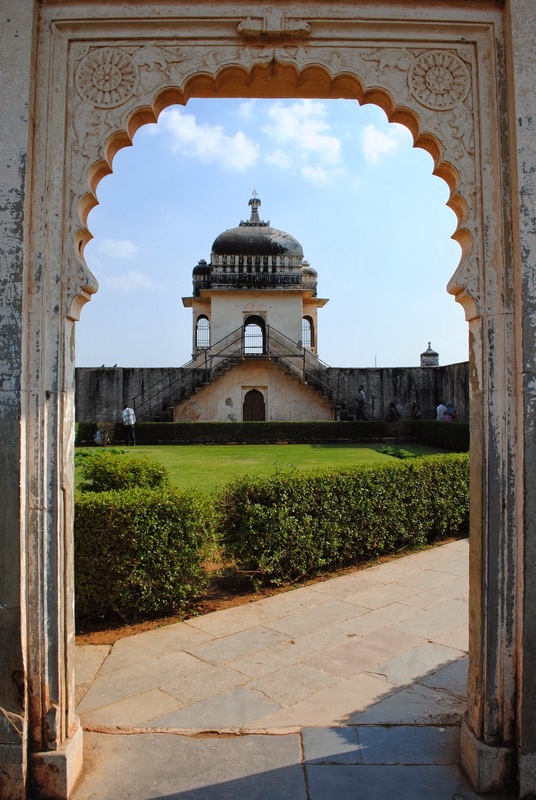 We set out in a cab at noon from Udaipur with plans of having lunch in the town of Chittorgarh itself. Summer was yet to reach these desert lands so it was still not that hot on the route. Most of the old town has been settled inside the fort. 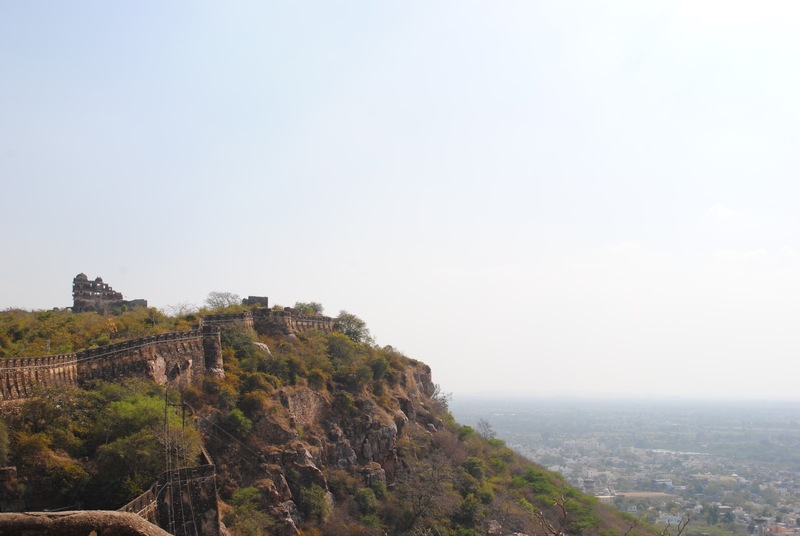 This fort is on a single mountain and was constructed in the 7th century. Just before entering the fort, we had our simple Rajasthani thali lunch at a road-side restaurant. Then we began our sightseeing. Highly recommended by everyone, we first went to Vijay Stambh. 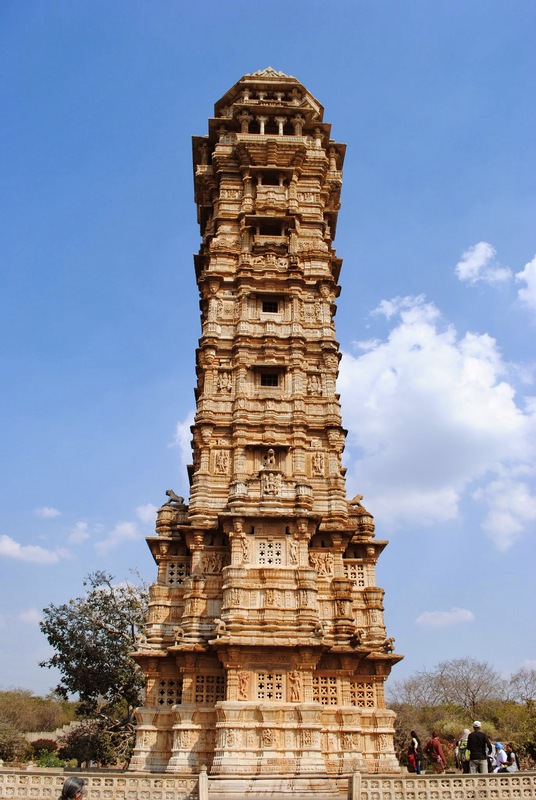 This tower was constructed by Maharana Kumbha when he defeated Mahmud Shah Khalji of Malwa in 1440. Beautiful gardens, old temples and wells dot the area around this tower. The tower is visible from each part of the town. I was very impressed with the printed paintings and bought a few of them at the shops nearby. Our next stop was the historically significant and famous Rani Padmini’s palace. The story goes that Allauddin Khilji wanted to have a glance of Rani Padmini, wife of king Rawal Ratan Singh, rumoured to be extremely beautiful. But Rajput traditions didn’t allow outsiders to look directly at married women. Therefore the king, in order to impress Khilji, arranged mirrors in the fort hall. This hall was located opposite to Rani’s Jal Mahal (water palace). With this arrangement, she could be seen sitting at the steps of the Jal Mahal near the lake. The palace surroundings were very beautiful. But the famed buildings didn’t turn out as expected. Gaumukh reservoir, an important water source for people living in the fort. Temple ruins with the fort walls in the background. Thanks. 🙂 Will go through your experience too. 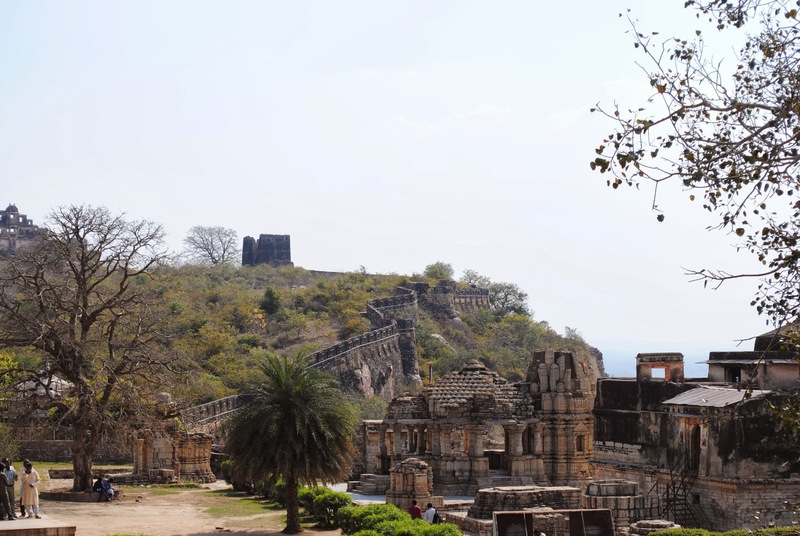 Hello, Thanks for sharing such a fantastic blog.I really appreciate your blog to share information about Chittorgarh fort…good information you have share here…. Very beautiful pics !! It is like a virtual tour to the fort with lot of historial details !! !